The Indians and Brookings are an inseparable Class 4A pair lately. Scappoose fell to Brookings last year during the Bruins' state quarterfinalist run, a payback of sorts for the Tribe's 2015 championship. The rivalry is set to renew Saturday, Sept. 2, at 2 p.m. at Pleasant Hill High School west of Eugene, a full 96 miles closer to the Tribe than to the Bruins' home base in Southern Oregon. Seven seniors -- Alyssa Bakkensen (goalkeeper), Mackenzie Ela and Alyssa Baird (midfielders), Emily Campos, Madalynn Hall and Karlie Ragan (defenders) and Natalee Irwin (forward) -- will lead the Indians into action with all-state junior midfielder Lauren Whisenhunt. Scappoose has reached at least the quarterfinals in seven of the last eight years. 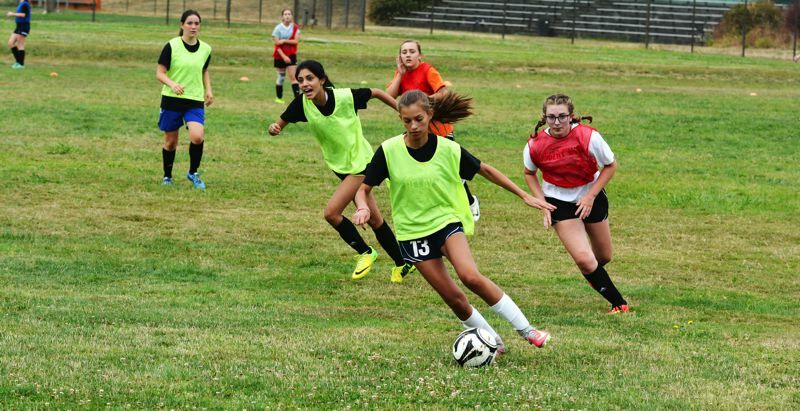 "We will be coming into this season with a lot more experience," said Tribe coach Summer Jark, whose side rivals the unbeaten 2015 team's senior numbers (10). "We were a young team last year, and everyone got lots of playing time. The returning players are a great group, and I am confident they will do a great job leading the team this year." Payton Fisher and Sierra Stafford (midfielders) and Shayna Redpath (defender) are opportunistic juniors, and Faith Woodall (forward), Marissa Bradley, Taryn Verzino, Tess Conway (midfielders) and Emma Jones (defender) are sophomores. Tessa Davidson, Rylee Cook, Ani Havlik, Grace Negelspach and Autumn Terry (midfielders), along with Maddy Brulocker (defender), are freshmen lending their talents to the cause. "I'm looking forward to playing with so much new incoming talent," Ela said. "I think we really have a shot at doing great things this year." 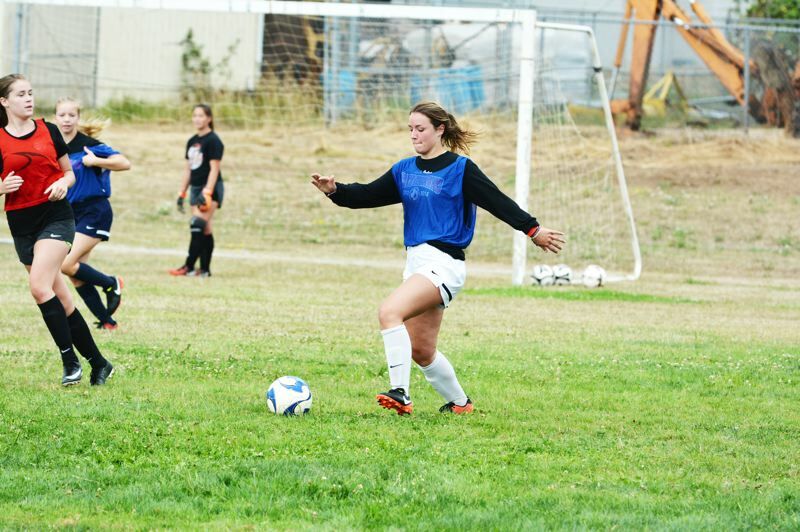 Brookings, led by Far West League Coach of the Year Fernando Villa and all-state talents Abby Farmer (senior defender) and Anna Serna (junior midfielder), tied champion North Valley for the third-most goals scored and allowed the fifth-fewest goals last year. The Tribe, always happy with an elite preseason schedule, is also set to play at Class 3A/2A/1A runner-up Catlin Gabel at 4:15 p.m. on Tuesday in Portland. The Eagles, who beat the host Indians 1-0 last year, feature Coach of the Year Chris Dorough, all-state talents in senior defender Allie Dunnaville and junior goalkeeper Ally Priest. 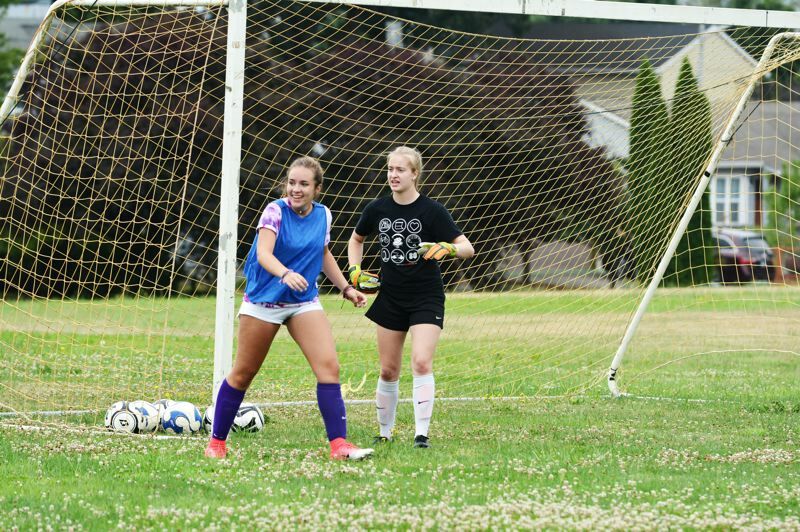 Scappoose will head from there to Class 4A quarterfinalist Gladstone, which projects to return all-Tri-Valley Conference senior midfielders Grace Campbell and Cameron Cronin, on Sept. 12. The Tribe will host Class 3A/2A/1A champion Oregon Episcopal in the preseason finale on Sept. 13 at Scappoose Middle School's Chinook Field. The Aardvarks expect to return all-state talents in seniors Annika Lovestrand (forward) and Megan Ruoff (midfielder) and juniors Joanna Cloutier and Stephanie Finley (defenders). Class 4A play-in rounder Banks and all-Cowapa Leaguers Kim Jordan (senior forward), Aspen Slifka (junior forward) and Marissa Dotson (junior defender) promise the first highlight of the league season (with an away game on Sept. 26 and a home game on Oct. 13). The biggest challenge comes Sept. 28 in Beaverton and Oct. 18 in Scappoose from league champion-turned-state-runner-up Valley Catholic, who replaced the Indians as league champs with all-state picks Tayler Menkens (senior midfielder), Noelle Mannen (senior goalkeeper), Callie Kawaguchi (junior forward) and Sarah Jones (junior defender). The Valiants, with five projected returning seniors, have won two of the last three league titles since they won it all in Class 3A/2A/1A in 2013 and came up to Class 4A the next fall. "This year we have a very special group with lots of new faces, and everyone is so excited to start playing games," Bakkensen said. "Looking at the big picture, we will be putting up a big fight for the league title and, I think, the state championship. I'm definitely looking forward to competing, but also just enjoying the little moments with my team." SEASON OUTLOOK: Astoria returns just as many seniors as the Indians, but the Cowapa League championship race should come down to the victor in the two-game Scappoose-Valley Catholic series. Sept. 12 Scappoose at Gladstone, 4:15 p.m.